Machines are displaying a trend of increasing autonomy. This has a far reaching impact on the architectures of the embedded systems within the machine. The impact needs to be clearly understood and the main obstacles to autonomy need to be identified. The obstacles, especially from an industrial perspective, are not just technological but also relate to system aspects like certification, development processes and product safety. In this paper, we identify and discuss some of the main obstacles to autonomy from the viewpoint of technical specialists working on advanced industrial product development. The identified obstacles cover topics like world modeling, user interaction, complexity and system safety. This research was conducted within the VINNOVA (Swedish Governmental Agency for Innovation Systems) funded FUSE project. FUSE conducts research on functional safety and evolvable architectures for autonomy. 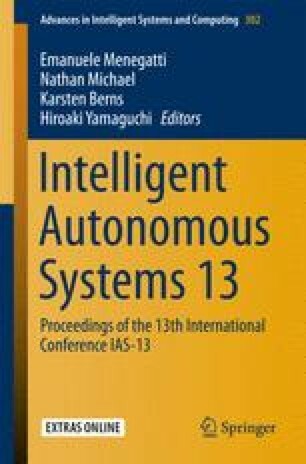 The autonomy workshop from which several of this paper’s insights were drawn was conducted under the aegis of the Innovative Center for Embedded Systems (ICES) at KTH, Stockholm. : ICES Workshop on Architectures for Autonomous Automotive Systems. http://www.ices.kth.se/events.aspx?pid=3&evtKeyId=ab27fb03b44a4dd79536cd4b048d6a7b (2014) [Online; accessed 14-February-2014]. : Designing a digital future: Federally funded research and development in networking and information technology. Report to the president and Congress. http://www.whitehouse.gov/sites/default/files/microsites/ostp/pcast-nitrd-report-2010.pdf (2010) [Online report; accessed 14-February-2014].